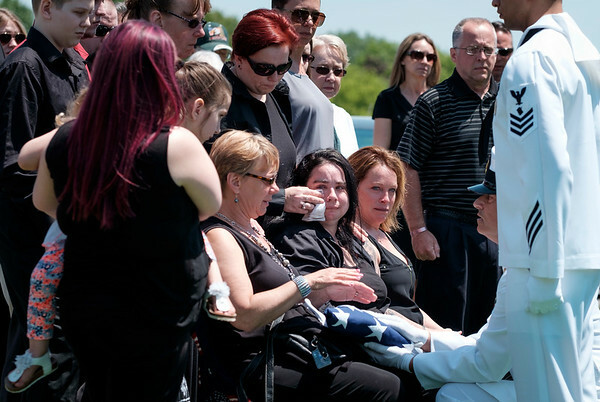 JOED VIERA/STAFF PHOTOGRAPHER-Newfane, NY-A Naval Officer hands a folded flag to Darlene Braun Gow, widow of Wayne B. Gow during his funeral. Gow, a Newfane resident served in the U.S. Navy as a Machinist's Mate 3rd Class from 1957- 61 worked at Simonds Saw and Steel from 1961-1968 then retired from Harrison Radiator in 1999. He was buried at Corwin Cemetary.